Whether you are wearing a wig because of hair loss or you simply want to have fun with a new hairstyle but you don’t know how to apply lace wig correctly. Layla will help you learn techniques for putting on and styling your wig. Lace wig human hair from Layla company can even be worn during most sports activities without coming off. 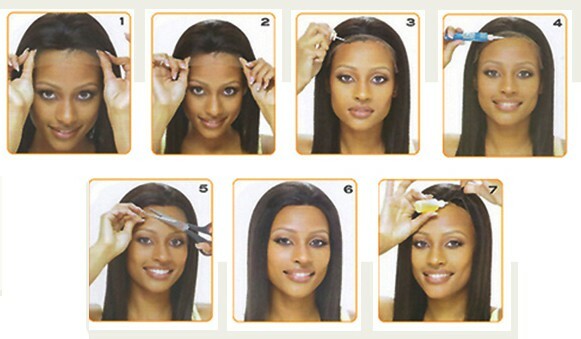 Today, Layla Hair Company will give you seven steps how to apply lace wig. Please read until the end to find out the best way how to apply lace wigs. How to put on a lace front wig or a full lace wig? Firstly, put on a flesh-colored wig cap, put all of your hair inside the cap. Adjust the wig cap so it sits at your front hairline and comfortable for you. 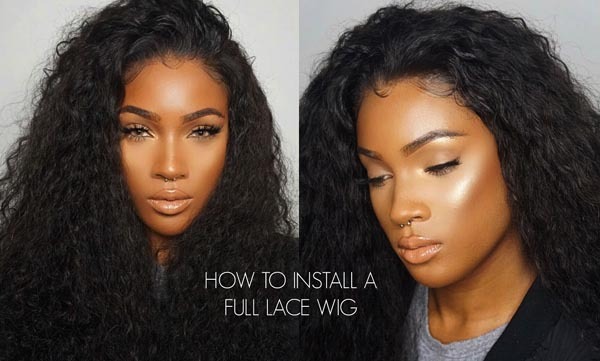 How to make a lace front wig or full lace wig look natural? Cleaning your hairline with isopropyl alcohol to remove oils form body that could prevent the wig adhesive from sticking properly, that is perfect answer. Wear a wig cap under your wig if you have long hair; a cap compresses hair so that it does not look bulky under the wig. Should apply scalp protector. This is necessary if you have sensitive skin or want to protect your natural hair and scalp. Attach wig tape to the edges of the lace wig. The tape is applied to the edges of the lace around the underside of the wig. Wig tape can be used alone or in combination with wig adhesive. Apply a thin layer of wig adhesive to your scalp. Allow the wig adhesive to dry for the length of time recommended on the label directions. Wig adhesive can be used alone or in combination with wig tape. 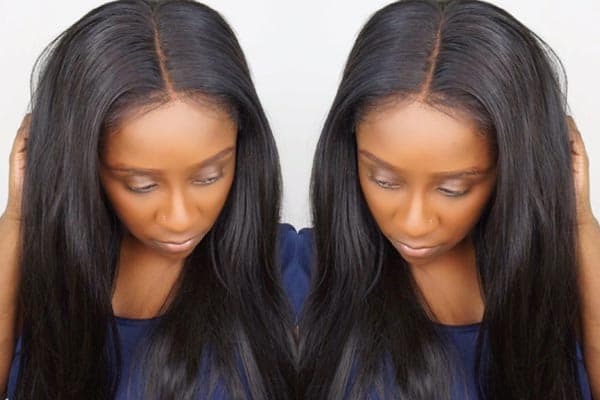 Finally, you know how to wear a lace front wig or full lace wig look fabulous? Adjust your wig after you have put it on so that it sits on your head correctly. Line up the center part of the wig with the center of your forehead. Pull the wig down completely in the back, so that it fits correctly on your head. Lace wig human hair made by 100% Remy or Virgin Hair from Layla Hair company. Remy Hair does not always mean Virgin hair, in fact, it rarely means that. Although the two terms are used synonymously, they are completely different in meanings. For those who have not heard about the term of “REMY”, here is a rough definition for you: “ Remy(Remi) Hair is considered to be the best quality of human hair. Virgin Remy hair wholesale actually describes the quality of hair used to make up the particular extension. This hair is of the highest quality and comes from a single donor, which ensures consistency in texture. Also, the hair cuticles are intact, in one direction and consist of cuts which are the same length. This provides a smooth texture and allows the hair to last longer and style more naturally ”. Besides, this is the definition of Virgin Hair: “ Virgin hair has never-ever been processed in any way. No color, no chemicals, no nothing. Completely natural and all cuticles are facing in the same directions. Remy hair only means that all cuticles are intact and facing in the same direction. Virgin hair is chemically unprocessed human hair, which is collected from a single donor “. Remy hair or Virgin hair will become good lace wigs. After reading all of the above information, Layla believe that you deep understand about how to apply lace wig look natural.So now, why don’t you buy a human hair wig? It will absolutely change your life.